Here is a recent Josh Linkner latest blog post in which he suggests that each of us possesses a “superpower” of one kind or another. First, recognize it. Next, understand and appreciate it. Then make more effective use of it, perhaps as Josh does with his in service to others. We all know but often forget that almost anyone can achieve almost anything but no one can achieve [begin italics] everything. [end italics]. To check out all the resources at his website, please click here. Aquaman has the unique ability to communicate with sea creatures. Comic book heroine Invisible Woman can – you guessed it – become invisible at will. In fact, each of the superheroes we grew up with and admired have one or more superpowers. Turns out that most highly successful people – both mythical and real – have their own secret weapon. From Zeus to Warren Buffett, Serena Williams to Mark Zuckerberg, Oprah Winfrey to Derek Jeter, each has their own secret sauce. It’s a unique gift that makes them powerful, compelling, and remarkable. Good news – you have your own superpower, too. It may be the ability to show empathy and patience. You might be a math whiz. Maybe you are terrific at communicating complex ideas. Perhaps you remember everything you read. You can’t be great at everything, but you’re probably world-class at something. It could be an obvious superpower such as being an outstanding negotiator. Or it could be subtler such as a dry sense of humor or a vivid imagination. The even better news is that to be incredibly successful you don’t need to be a master of all things. The top superheroes may have X-ray vision or the ability to travel through time, but none has all the superpowers. True heroes play to their strengths. They spend a disproportionate amount of time being the absolute best at a small number of things rather than trying to master every skill. And then there’s kryptonite, Superman’s Achilles heel. Turns out we each have one or two of our own soft spots. You may stink at long division, lack computer skills, or hate writing. You may have a particular relationship that makes your knees wobble and strips you of your power. Perhaps your weakness is junk food, alcohol or gambling. Unfortunately, most of us play it backwards. We focus far too much energy on our kryptonite, wallowing in shame and self-pity. We let fear and doubt consume us, which limits our potential. Meanwhile, our superpowers – the gifts that make us truly special – take a backseat and don’t get fully developed and cherished. Can you imagine Superman hunched over at the local saloon, unwilling to leap tall buildings because he’s bummed out over his one weakness? Instead, he’s identified his shortcoming and doesn’t let it hold him back. He’s learned to accept and avoid kryptonite so he can get on with saving the world. Let’s start focusing on our strengths and stop obsessing over our weaknesses. Developing your superpower is your most important step on your journey to success. Don’t let your nemesis get in the way of reaching your true potential. Each of us has incredible things to accomplish and a gigantic impact to leave on the world. Now is the time to seize that opportunity. Josh Linkner is the New York Times bestselling author of Disciplined Dreaming: A Proven System to Drive Breakthrough Creativity, named one of the top 10 business books of 2011. 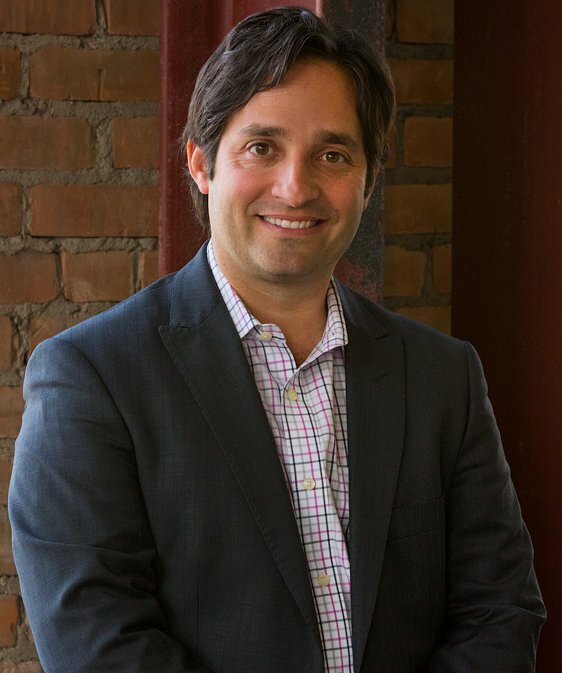 Josh is the CEO and Managing Partner of Detroit Venture Partners. Together with business partners Earvin “Magic” Johnson and NBA team owner Dan Gilbert, Josh is actively rebuilding urban areas through technology and entrepreneurship. He is also Adjunct Professor of Applied Creativity at the University of Michigan. For more information on creativity, visit his website by clicking here.